Assessment of the financial capacity of 366 amalgamated hromadas, which last year had direct interbudgetary relations with the state budget, is precisely directed at identification of the weaknesses and development of necessary management solutions to eliminate them, said Yanina Kazyuk, financial decentralisation coordinator of the Central Reform Office under Minregion. According to Yanina Kazyuk, experts of the Financial Monitoring Group of the Central Reform Office under MinRegion (with the support of the U-LEAD with Europe Programme and the SKL International project) will analyse hromadas of each oblast separately over a short time, for the convenience of using this information. “Given the large volume of information, we decided to provide such an analysis on hromadas of each oblast. After all, the analysis is carried out not for the purpose of analysis, but in order for each hromada to take a detached view of itself, make the necessary conclusions and work on correcting the situation where it is necessary. We will publish such an analysis on the decentralisation.gov.ua,” the expert explained. This material features an analysis of the financial capacity of hromadas of the Kirovohrad and Cherkasy Oblasts. The indicator of own income per capita in 5 AHs of the Kirovohrad Oblast increased by UAH 1686.7 and amounted to UAH 3671.9 (including: 3 AHs, established in 2016, this indicator increased by 2.6 times and is UAH 4121.9, and in 2 AHs, formed in 2015 – it increased by 31.2% and is UAH 3164.0). 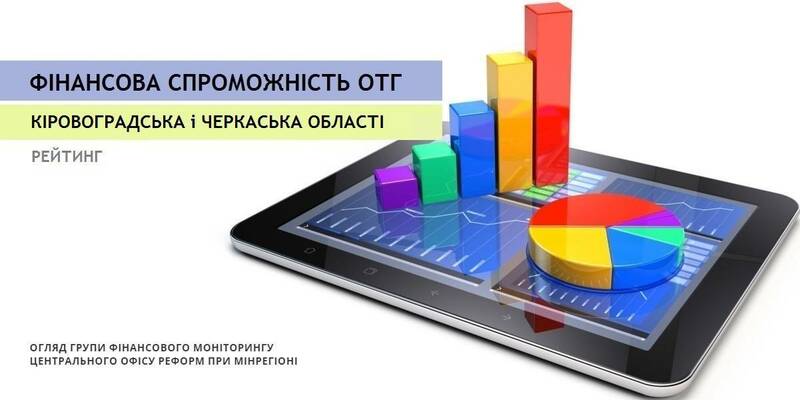 The indicator of own revenues per capita in 6 AHs of the Cherkasy Oblast increased by UAH 1615.0 and amounted to UAH 3315.7 (including: in 3 AHs, formed in 2016, this indicator increased by 2.6 times and is UAH 3546,4, and in 3 AHs, formed in 2015 – it increased by 32.0% and amounts to UAH 2941.5).